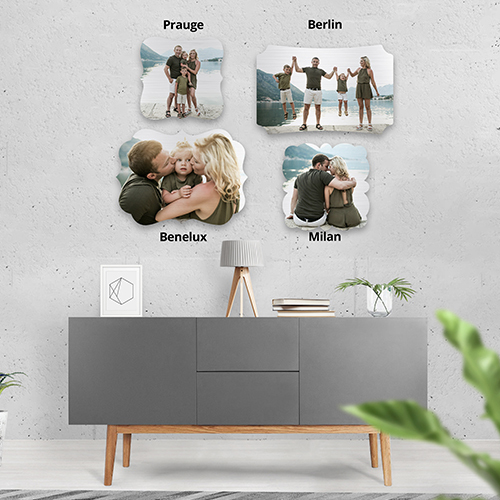 Designer metal prints come in four unique shapes and multiple sizes. These high quality metal prints have a white base, so all colors in your image will be vivid and bright. If desired, you may add a metal wall mount. The Benelux shape is available in sizes 11x8 and 15x11. The Milan shape is available in sizes 8x8 and 12x12. The Berlin is available in sizes 12x8, 16x10.75, and 19x12. The Prague is available in sizes 8x8, 12, and 19x19.